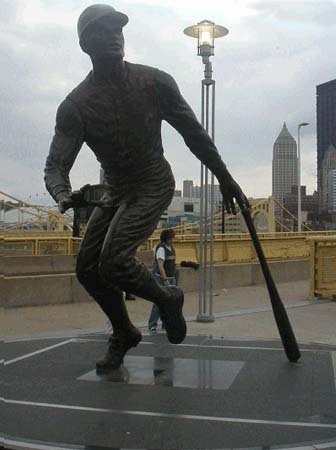 One of baseball's greatest all around players, Clemente won four N.L. batting crowns and batted .317 in his career, with 240 home runs and 1,305 RBI while also winning 12 Gold Glove Awards over his 18-year Pirate career. A 12-time All-Star and the 1966 N.L. MVP, he ranks in the Pirates’ top 10 in 12 offensive categories. Clemente died along with four others when a plane carrying supplies to earthquake-stricken Nicaragua crashed on December 31, 1972. He was elected to Baseball's Hall of Fame and had his number 21 formally retired in 1973.